Ham radios are considerably different from citizens’ band (CB) radios. The radios themselves have more frequency bands and are more powerful, which allows them to be used for international as well as domestic communications. Since their inception in the 20th century, ham radios have been the domain of hobbyists and technicians worldwide. 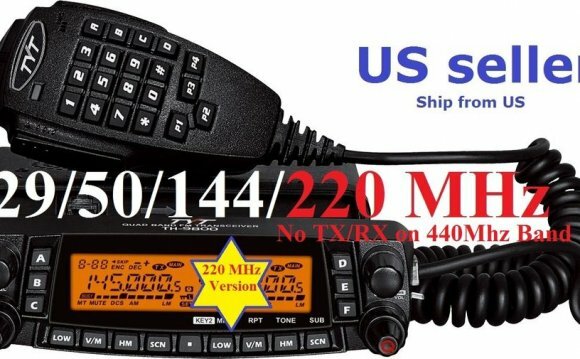 The usage of ham radios is much different from CB as well, as the users have more technical knowledge and are generally a more responsible community. Ham radio operators like to experiment with their equipment, seeking ways to get the greatest range with the least amount of power. In 1933, ham radio operator Arthur Collins founded the Collins Radio company to produce professional radio equipment for the burgeoning AM broadcast radio industry. Throughout World War II, he was consulted by the military and OSS, building specialized equipment to solve a variety of difficult communications problems that they were having. Collins broke into being a manufacturer by providing the radio equipment to communicate with Admiral Byrd’s South Pole expedition. One thing that makes ham radios much different from CB is their licensing requirements. Although CB radios originally required a license to operate, that requirement was dropped in the 1970s. Even when it existed, it was only a registration requirement with a small fee. On the other hand, ham radios have always required a license to operate. This license is only granted upon the completion of a test of theoretical, technical, and regulatory knowledge. Ham radio operators use their radios for communication with other hams around the world, provide their services as an emergency communications network, and provide assistance to the National Oceanic and Atmospheric Administration (NOAA) in spotting tornadoes and other dangerous weather disturbances. The MARS network (Military Auxiliary Radio System) is a volunteer ham radio network that provides support communications to the military, especially by providing a way for servicemen and women overseas to keep in contact with their families back home. For most of the history of amateur radio, ham radio licenses required passing a Morse code test. While this requirement has been dropped, licensing is still required. The current three levels of licenses are awarded based upon passing tests, which are administered by volunteer ham radio operators. While these tests are theoretically free, the volunteers who provide testing are allowed to collect fees to cover their costs. The Technician Class license is the entry-level ham radio license. To receive it, the applicant must complete a written, 35-question multiple-choice examination. The exam covers a number of theoretical and technical topics involving radio wave propagation, equipment operation, and regulations for the use of ham radios. Those who have a Technician Class license receive full operating privileges on all amateur bands above 30 MHz and limited privileges in portions of the high-frequency (HF) band, which covers 3 to 30 MHz. The General Class license is the most common. Before receiving this license, the applicant must already hold a Technician Class license. Successful completion of an additional 35-question multiple-choice test, which covers material that is more technically complex than that for the Technician Class license, is required to receive the General Class license. Holders of this license are granted privileges for use of additional HF bands, giving them access to 83 percent of all amateur radio bands. However, some band segments that are used exclusively for long-distance communications are excluded with this license.